Amazon likely to expand its business offering to more countries as schools, hospitals and governments flock to the service. Despite being just three years old, Amazon Business has quickly become a go-to source for supplies for schools, hospitals and governments who have embraced the e-commerce giant's business offering just as consumers did with its retail business. The company's business platform has turned into a $10bn annual enterprise that could soon provide sizeable revenues similar to its AWS cloud computing division and advertising services. 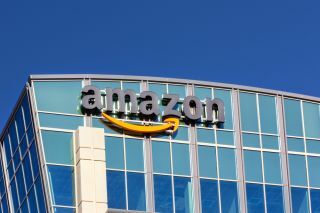 Currently Amazon Business is available in the US, Germany, UK, Japan, France, Italy, Spain and India though the company will likely continue to expand the business' international offerings in response to high customer demand. Amazon Business utilises the e-commerce giant's existing warehouse and delivery network built for its retail network to supply schools, hospitals and governments with one-site shopping for hundreds of millions of products from office supplies to snacks. The company's business offering challenges Staples, Costco, WW Grainger and other small specialty distributors in the space. However, since these business customers are already familiar with shopping on Amazon's retail site, Amazon Business has been able to carve out a place for itself despite being created just three years ago in 2015.